Whiehh happy new year everyone! (or whoever is reading this, hihi). Finally I have some time for my blog again and that makes me happy. Not that I was not: the last days were great, Christmas was lovely with the family and new years eve was so much fun with my friends. 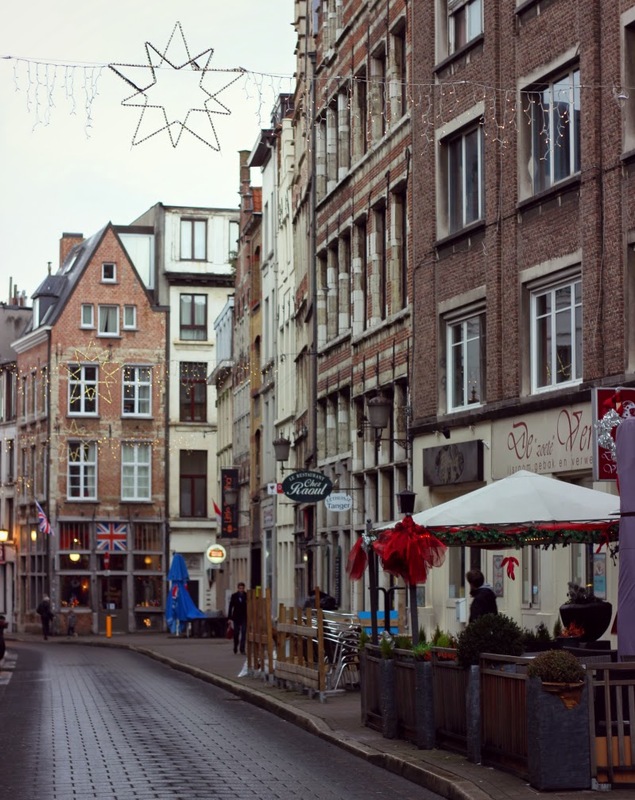 In between Paul and I sneaked out and went to Antwerp for three days. And those were flawless! We wandered around the streets, did some shopping, ate delicious waffles and dinners and just enjoyed the city and each other. These are the prettiest pictures I made. In Antwerp there is a tunnel that goes under the river. 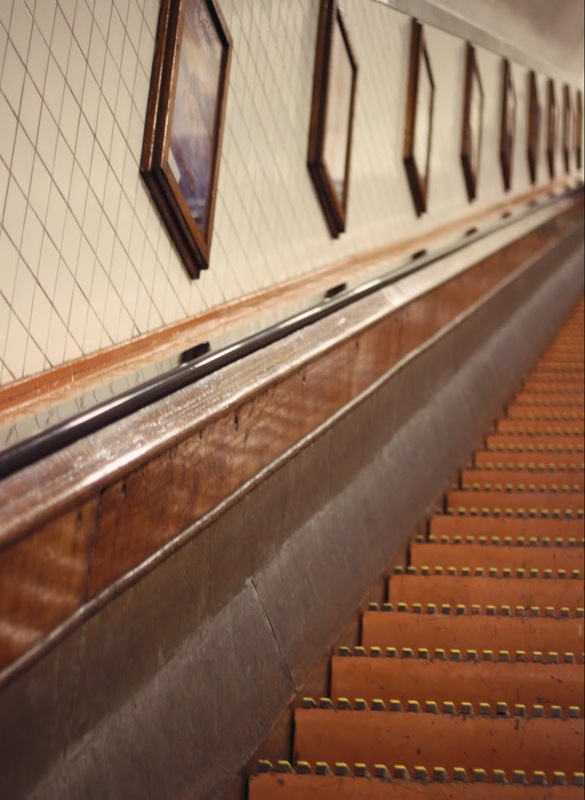 To reach the tunnel you have to take the wooden escalators. Those were amazing! 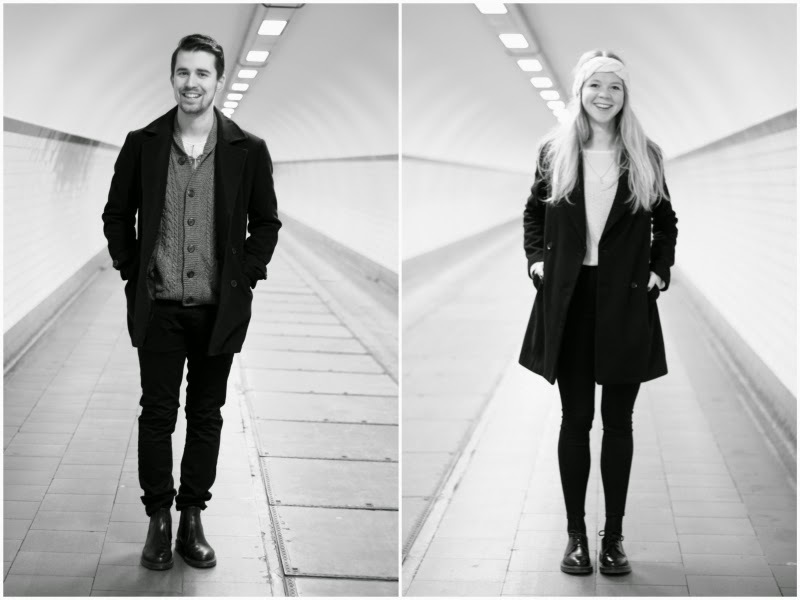 Walking though the tunnel we realised our outfits were pretty much the same haha! A black woolen coat, Dr. Martens and we both had our new black pants on. (I have a new one of Cheap Monday and it's fit is perfect) So there is an outfit photo of each of us. What do you think? When we arrived at the other side we saw the amazing view of the first photo! There we took some more outfit photographs, I will show those later. 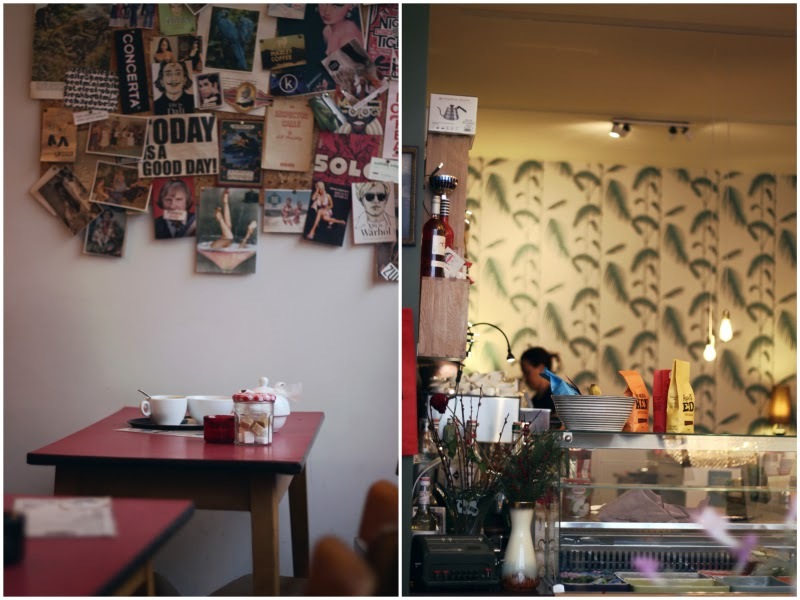 Then after some endless wandering arround actually nothing (but beautiful old architecture) we found the loveliest little cafe called: Mademoiselle Moustache! I had some mocha coffee with chocolate which was lovely! And the interior there is lovely too, little vintage tables and chairs, and endless cutouts on the walls. 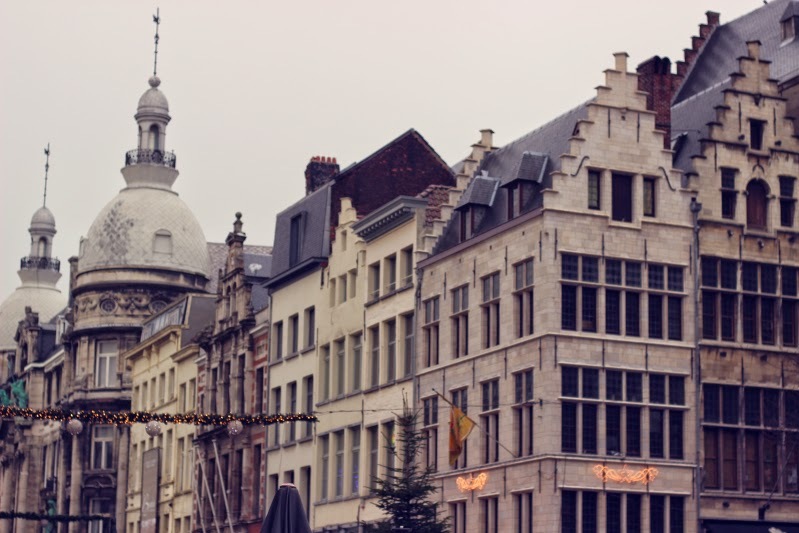 Just look at these last pictures, you should really visit it if you ever go to Antwerp! 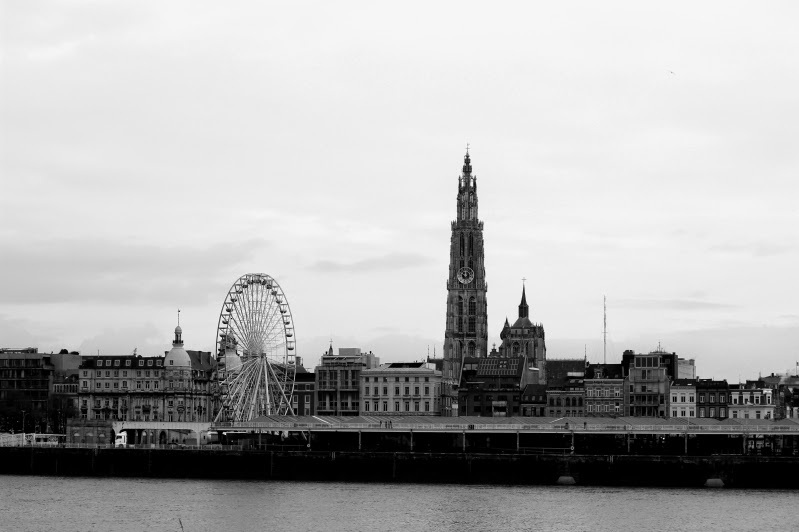 Actually you just should visit Antwerp because it is the perfect city! Have you ever been there? And what do you think of these photographs? Mooie foto's heb je gemaakt! Ik ben dol op deze stad! Super gave foto's! Echt prachtig! Ik moet ook echt een keertje naar Antwerpen, lijkt me erg leuk! So pretty, je foto's wauw. Antwerpen lijkt me prachtig! 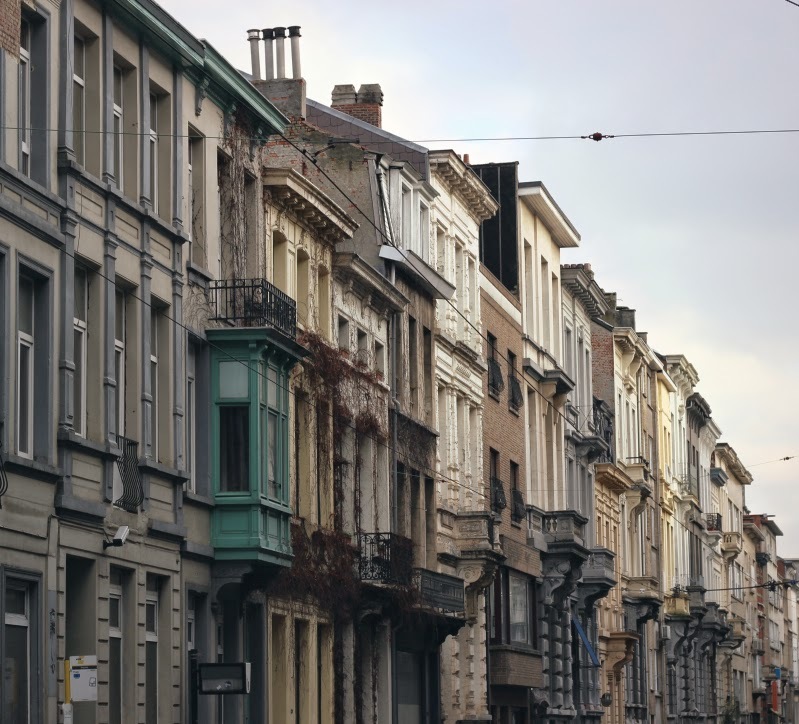 Wat leuk dat jullie naar Antwerpen zijn geweest, echt hele mooie foto's. 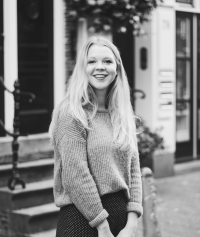 Een gelukkig 2015 toegewenst! Deze foto's zijn echt prachtig! Jij en je vriend zijn trouwens zo'n mooi stel samen :). De tunnel - foto's vind ik dan ook heel erg tof! Fijn om te horen dat het zo leuk was in Antwerpen, ik moet nog altijd een keertje gaan haha.